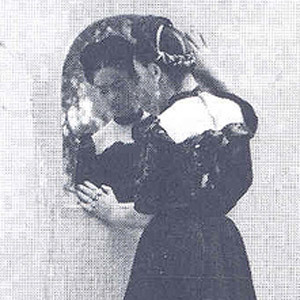 Myra Beltran performs Frida en el espejo (Frida in the mirror) this Thursday, August 23, at Dance Forum in Quezon City. This solo piece celebrates the life and work of Mexican painter Frida Kahlo (in photo). A special twinbill presentation of two established contemporary dance artists working on solo dance will take place this Thursday, August 23. One is from Myra Beltran titled Frida en el espejo (Frida before the mirror) while the other is Alvin Erasga Tolentino's Field: Land is the Belly of Man. Originally commissioned by Instituto Cervantes to coincide with the worldwide celebration of the centennial of the birth of Frida Kahlo. Frida is a collaboration with video artist Ruello Lozendo, with animation by Darwin Go and production design by Otto Hernandez. Tolentino is the artistic director of Co. Erasga (Canada) and was last seen onstage in Manila in Ballet Philippines' Neo-Filipino: Balikbayan in 2004. Using powerful video images of video artist Tad Ermitanio, Field creates a dance metaphor that draws attention to the beauty of the connection between man and the land that nourishes him. This thought-provoking piece pays homage to the traditional harvesting of rice. Field will have performances and lecture-demonstrations at different cities in Luzon until September, including Los Baños, Laguna, on Sept. 4 and 5. Everyone is invited to this special pay-what-you-can performance.